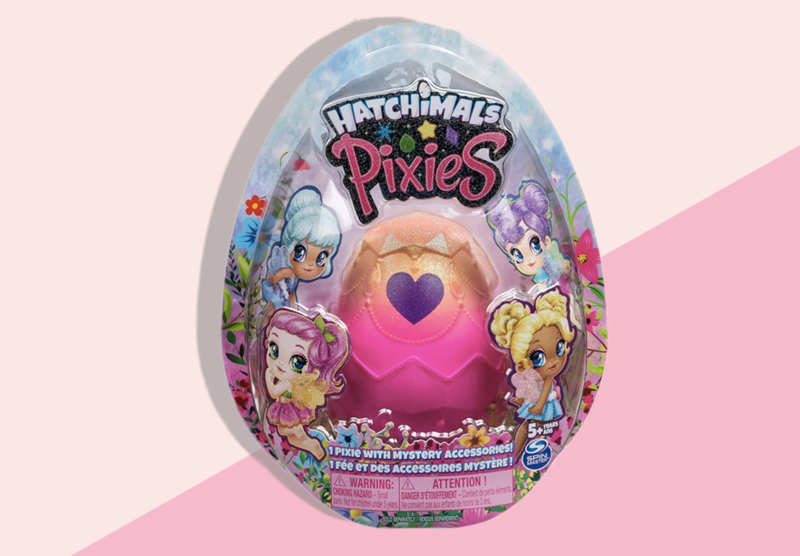 The New Hatchimal Pixies Hatch Out of the Cutest Glittery Little Eggs! There are some new little friends just discovered in Hatchitopia! Of course we’re talking about the new Hatchimals Pixies! Here’s everything we know so far. The never-ending trend of surprise toys just keeps on chugging along and the folks at SpinMaster have recently announced at the New York Toy Fair (2019) that one of the most anticipated toys of the year is going to be the cute little Hatchimals Pixies. Here we’ve uncovered exactly what they are, how many they are, when they’ll officially be released, and when you can pre-order them because, well, your kiddos are probably already begging for them. What Exactly Are the Pixies? These are the surprise collectibles that can hatch out of their glittery and sparkly eggs when your kiddos (or most likely you) lightly rub on the egg until the purple heart turns pink to spring the dolls from their home. Each doll has actual fluttery wings with sparkles, a head that can move into posable positions, glittery hair, and a fashion-forward outfit. In Series 1 there are 4 mini dolls to collect in 4 different glittery eggs. 1 doll1 come inside 1 egg along with some other cute surprises! What Surprises are Inside the Egg? What are the Names of the Collectibles? Series 1 will be released to the public on May 1, 2019. Series 2 (which is already in the works) is to be released in October 2019, just in time for the holidays! Yes! They’re actually up for pre order right now on Amazon and over at Walmart. Grab them while you can! Good news! These are on the cheap side! The suggested retail price is just $9.99. You can’t beat that! Candylocks Dolls Really are the Sweetest Collectibles Yet! Who Doesn’t Love the New Pomsies Lumies!? When Your Hatchimal Changes Eye Color What the Heck Does that Mean?! The LOL Surprise Lils (Series 5) Have the Cutest Little Sisters, Brothers, or Pets!